Dr. Barrow with the much-loved Sterling Assets. Dr. Barrow was born and raised in Bowling Green, KY. She attended Western Kentucky University, where she double majored in Biochemistry and Animal Science-Equine Emphasis. She was accepted to the Auburn College of Veterinary Medicine in 1996 and graduated in 2000. While there, she was active with the student chapter of AAEP and the Auburn Equestrian team, helping to start that program. Upon graduation she was named AUCVM Equine student of the year and traveled to the renowned Elgin Veterinary Hospital in Texas for an equine internship. While at Elgin, Dr. Barrow learned from Dr. Bob Lewis, previous President of the American Association of Equine Practitioners (AAEP). The case load was heavy on Lameness, Sports Medicine and Surgery. Dr. Barrow moved to Georgia in after her graduation and internship and spent four years in mixed animal practice. In March of 2004, Dr. Barrow opened Barrow Veterinary Service as an all equine, ambulatory practice. It has now grown into a full service equine practice, offering ambulatory services, hospitalization, reproductive services and surgery. In her spare time, Dr. Barrow shows American Quarter Horses. Her most famous horse was Sterling Assests, a western all-around horse with Superiors in both Trail and Western Riding. In 2013, Dr. Barrow and Sterling won the prestigious Novice Championships out of 88 qualifying horses in Trail. Currently, Dr. Barrow is showing Heza Blazin Machine (GusGus), a young gelding who is showing much talent in learning the Western All Around events. When she is not showing, Dr. Barrow is active in the Georgia Quarter Horse Association, and served as GQHA's President from 2009 to 2013. She currently chairs the Big A Show Committee, a nationally-renowned show held in Conyers that is recognized as one of AQHA's Top Five shows yearly. She also serves on the AQHA National Committee for Showing and Professional Horsemen. While it seems horses are always in the forefront, Dr. Barrow also spends as much time with her daughter Emma as possible. You may even see Emma on the road as mom's helper!! In addition, Dr. Barrow enjoys gardening, antiquing and is a huge Atlanta Braves fan. 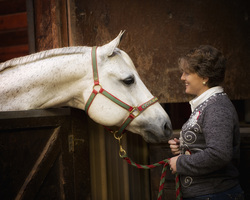 As a graduate of Georgia College & State University, Dr. Fenn attended Ross University, where she obtained her DVM and then completed a Master's Degree in Animal Science with a focus in Equine Behavior at Auburn University. She joined an equine referral practice in Florida after graduation. While there, she did a great deal of reproductive work and mare management, and this continues to be an area of focus for her at Barrow Vet Service. She returned to Georgia and joined BVS in April of 2013 in order to be closer to her family. Her other wheelhouses include Dentistry, Ophthalmology, and Neonatal medicine. Dr. Fenn rides mostly for pleasure, but hopes to have time to show her own horse "Zipper," a Quarter Horse mare who is great to ride but who's not sure about this whole "return to the show ring" thing. Dr. Fenn's other interests include photography, especially of the equine subject, reading, listening to sports radio, and spending time with family (specifically, harassing her younger sister). Dr. Fenn shares her home with three dogs, all rescued. When she is not working, she can be found photographing equine events or at the shooting range, honing her self-defense skills. Valerie has been with Barrow Veterinary Services since it's inception, and for a few years had the distinction of being the sole employee of BVS. She now makes sure the office is running smoothly, but can occasionally be found in the field instead of in the office. A transplant from Nashville, TN, she studied Animal Science at Western Kentucky University and is a former coordinator of Laboratory Animal Resources at Auburn University College of Veterinary Medicine. She has worked in the Veterinary field for more than twenty years. In her spare time, she enjoys recreational riding and is the Reservation Chair for the Georgia Quarter Horse Association's Stars & Stripes and Big A Show Committee. She also enjoys being a mom, gardening, and reading. 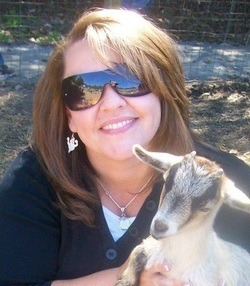 When not at work, she can be found spending time with her misfit and rescued dogs, cats, bird, goats, and Pig. One day, she aspires to be a writer, possibly about all the amazing things she has seen while in this line of work. Barb was born in upstate New York, and now considers herself a Florida transplant. She's been in Georgia since 1994. A retired law enforcement officer, she enjoys playing in and organizing poker tournaments, reading, and playing piano, but most of her time is spent cleaning up after her 3 Paso Finos, 2 Welsh Corgis, and numerous rescued cats. Barb has been a part of the BVS team since August 2007. Mary Stuart joined BVS in May of 2017 after working with several different trainers. Her focus now includes the health and care of the horse as well as the performance aspect. 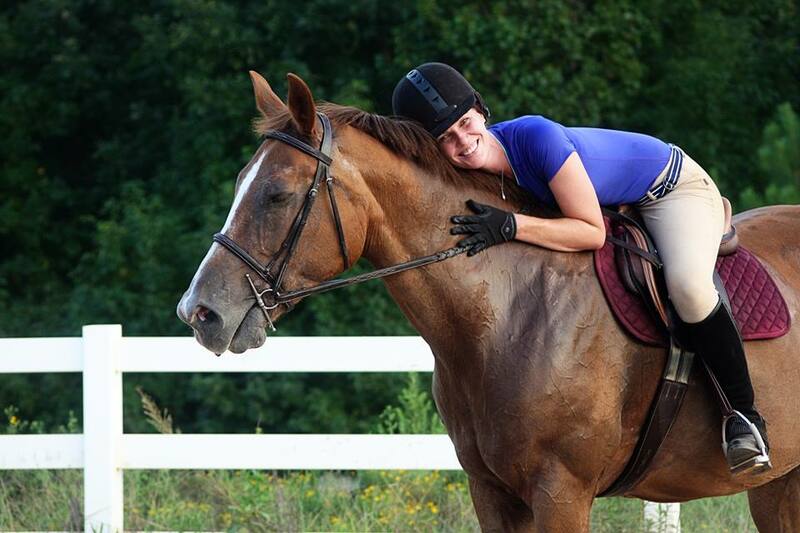 A native of Athens, Georgia, Mary Stuart is no stranger to the Hunter Jumper or Sport Horse world. She enjoys all outdoor activities, spending time with her dog, and working on her vintage Ford Bronco. Picture coming soon! This is Pasha, our official Head Greeter, who succeeded the amazing and very missed Chloe Pudgewaddle in 2010. 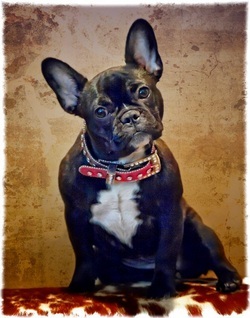 Pasha is a French Bulldog. She joins rescue Boston Terrier sister Haddie Mae daily in the office. Pasha is known for her obsession with her toys, and will be happy to fetch for you as long as you'll throw her ball or frisbee. She might bark at you, but it's only so you know how important she is. ​Haddie Mae is our permanent foster dog from The Rescue Ranch in Rutledge, GA. She can be found most days under Valerie's desk, although she might come out to give you a kiss or lay in your lap. Haddie Mae has a heart condition which excludes her from adoption, but what she lacks in health she makes up for in love. She is perfectly content to just hang out and be your friend. Haddie Mae joined us in May of 2016. Continue to "Cases & Testimonials"